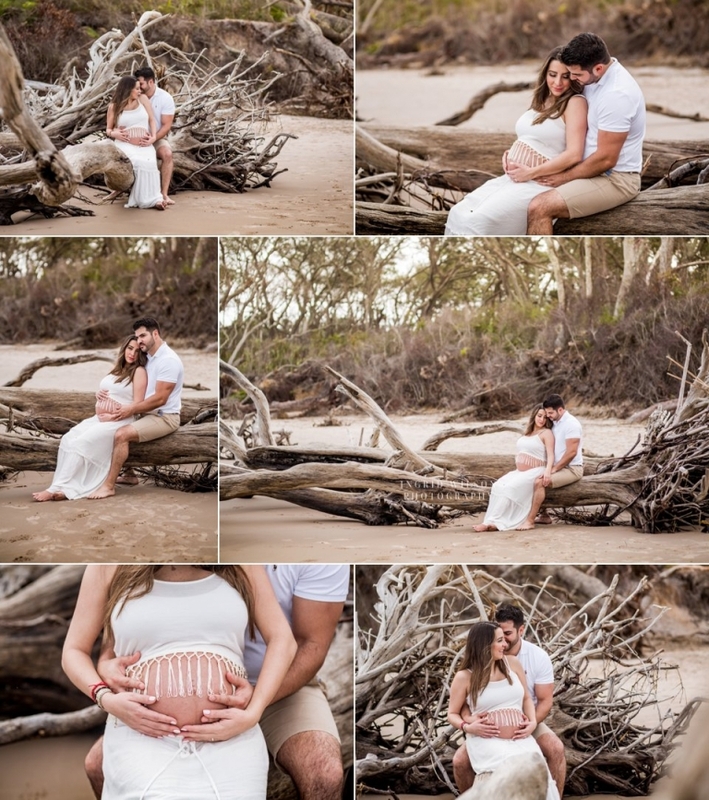 I couldn’t be more excited that I get to be this amazing couple’s birth photographer! 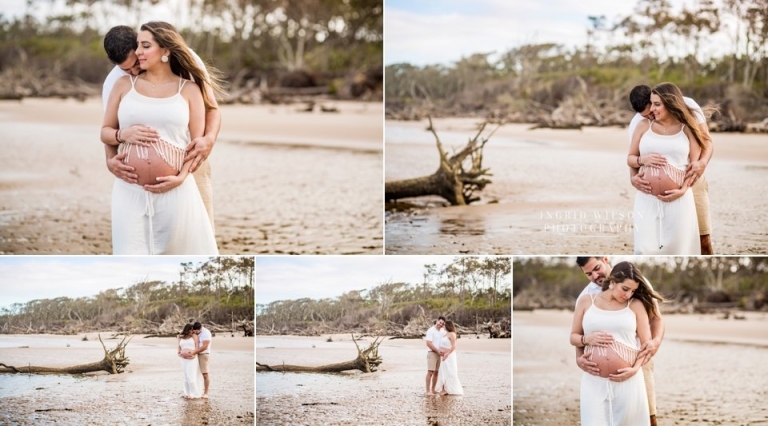 I loved getting to know them during their maternity session at the stunning Boneyard Beach, Jacksonville, FL. I got to hear all about how they met and the how they ended up here- pregnant with their first little love. It wasn’t the easiest road for them and their love for each other and their joy and excitement about their growing family is so apparent here. 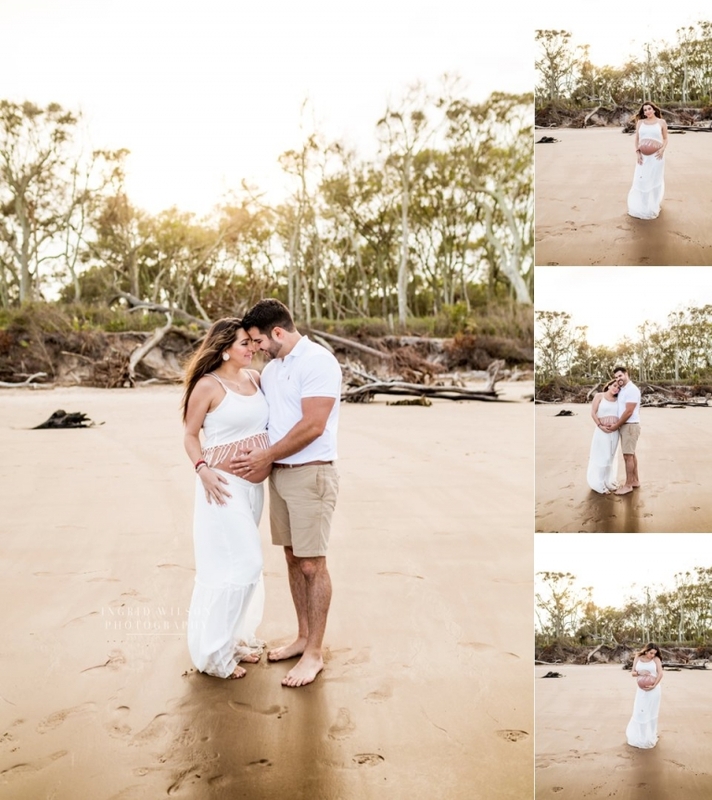 The rain tried to dampen our party after our long voyage to this beautifully remote beach, but we got lucky after an initial drizzle and the overcast skies made for beautiful soft light and pink sunset skies. 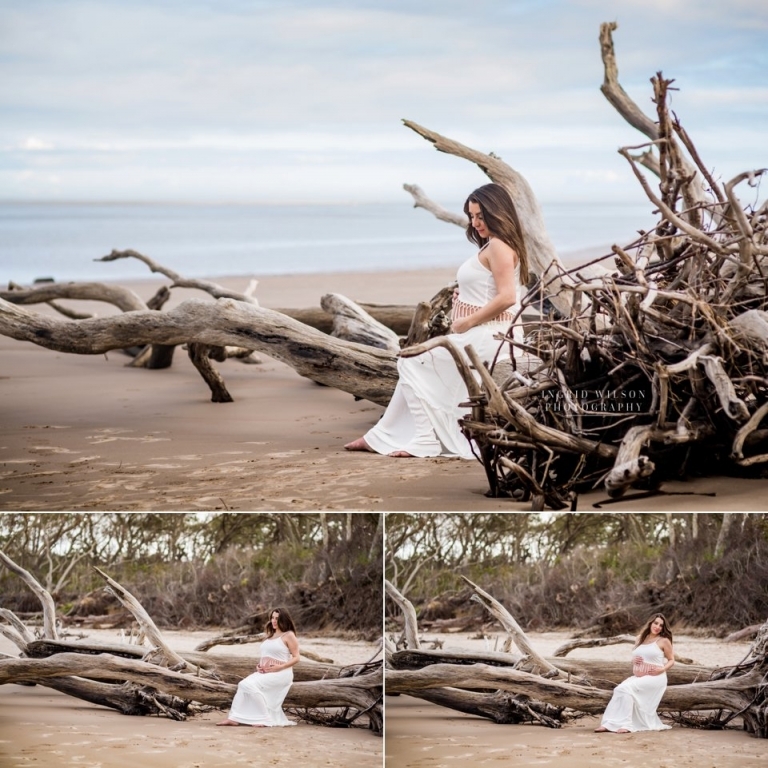 Mariana braved the chilly air and even chillier waters to ensure she captured all that she dreamed of from her maternity session. Thankfully she had the warmth of her doting hubby to keep her warm. I just kept squealing with delight and amazement about the model status of these two. They were complete naturals in front of the camera! As a result their gallery was huge! I have no idea how they will be able to narrow down their favorites, because I could’t narrow down mine! I so look forward to capturing their birth story for them soon.